An optional extra for clinics, schools and home. Use the SAS Poster Set to help you teach or remember the SAS Skills. 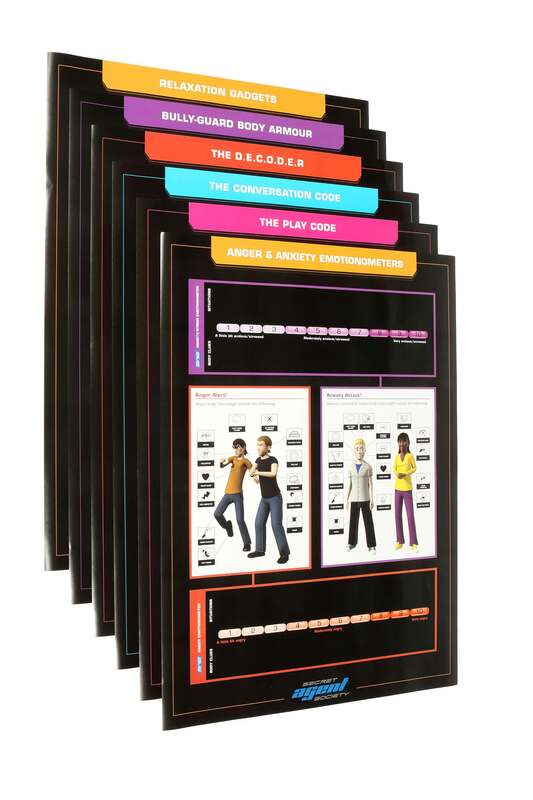 This set contains 6 posters: Emotionometers and body clues, Relaxation Gadgets, D.E.C.O.D.E.R Problem Solving Formula, Conversation Code, Play Code, and the Bully-Guard Body Armour.